God of War’s Kratos has a cameo as a boss. 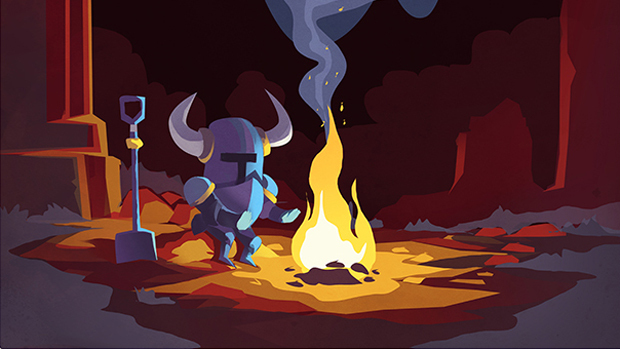 Yacht Club Games’ crowd-funded indie title and arguably the best indie game of last year Shovel Knight will finally be making its way to the PS4, PS3 and PS Vita this year. The developer has announced a release date of April 21st for the side-scrolling platformer. Shovel Knight centres around a knight who uses a shovel to bash enemies and is searching for his long-lost friend Shield Knight. While traversing through various levels, you’ll encounter other knights to beat down and gain new abilities en route to the end. The PlayStation versions will feature an exclusive boss in the form of God of War’s Kratos, though how he fits into the story and where he can be discovered is yet to be revealed. If you haven’t played it already, Shovel Knight is also available for PC, 3DS, Wii U, Mac OS X and Linux. Stay tuned for more information on Shovel Knight in the coming months.